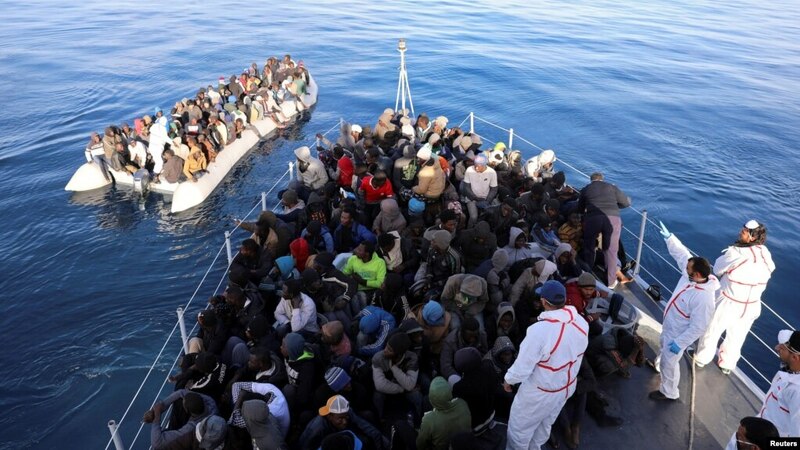 Migrants are seen in a rubber dinghy as they are met by the Libyan coast guard in the Mediterranean Sea off the coast of Libya, Jan. 15, 2018. 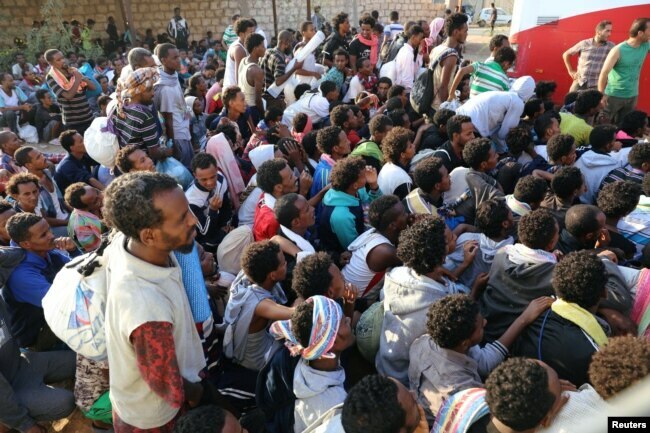 FILE- Migrants are seen after they were relocated from government-run detention centers, after getting trapped by clashes between rival groups in Tripoli, Libya, Sept. 4, 2018. 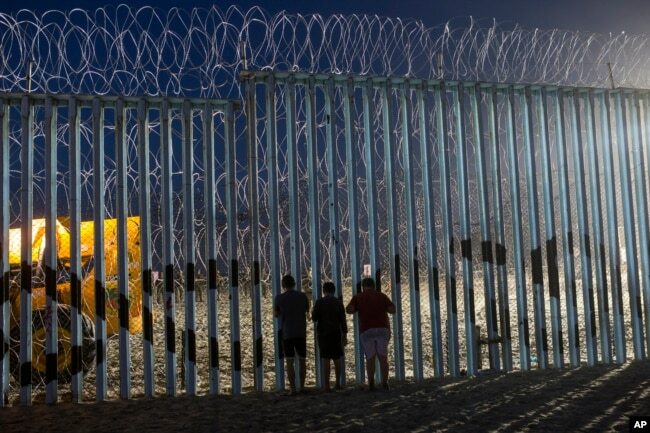 FILE - Children watch the movements of the U.S. Border Patrol agents from the Mexican side where the border meets the Pacific Ocean, Tijuana, Mexico. 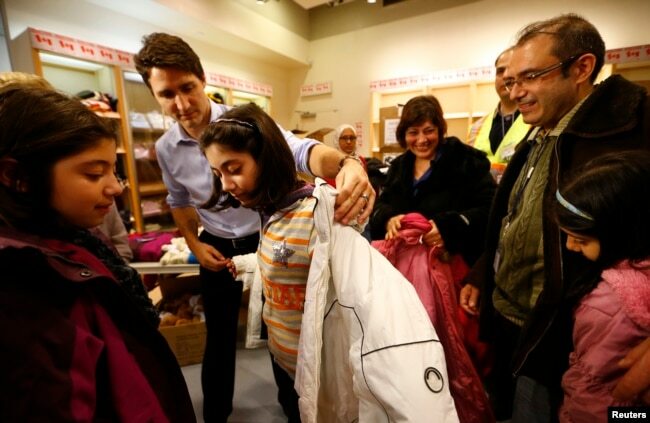 File - Canada’s Prime Minister Justin Trudeau helps a young Syrian refugee try on a winter coat after she arrived with her family from Beirut at the Toronto Pearson International Airport in Mississauga, Ontario, Canada, Dec. 11, 2015.